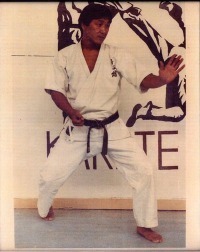 Karate Classes For Adults and Kids and now at two locations!! 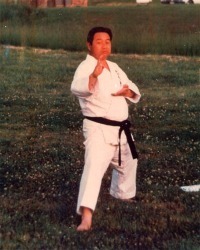 Sensei B.J. 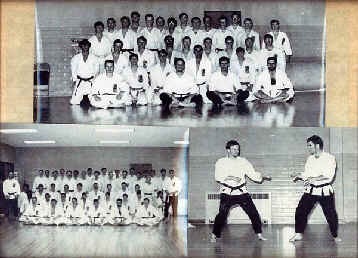 Huffman started in martial arts in 1967. He started with Judo under Randy & Danny Russell who were students of Master Wey Seng Kim, 6th Dan, who placed 2nd in the World in 1958. After 2 years of training B.J. Huffman reached the rank of Yonkyu. 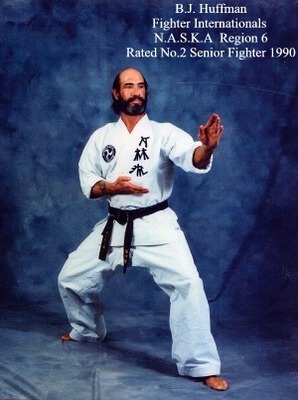 Randy Russell is know a 7th Dan. In 1968 B.J. Huffman began studying Isshin-Ryu under Sensei Edward Johnson, 6th Dan, Reaching the rank of Sankyu. In 1972 B.J. Huffman began studying Kei-Shin-Kan under Sensei Robert Yorbrough, 2nd Dan. 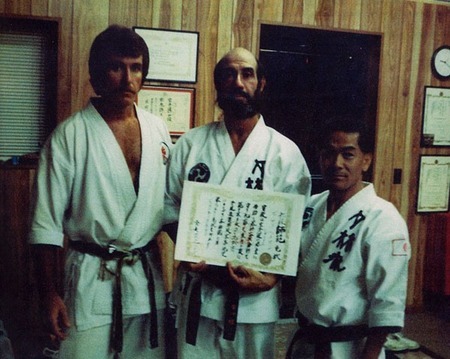 Dennis Rand was also a student who made shodan or 1st Dan in 1974 and became the head instructor of Missouri, when Sensei Yorbrough left. 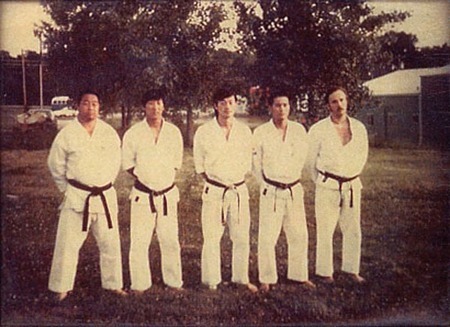 In 1975 Master Takazawa Masano, Shinohara Nobuhiro, Sensei & Two other Black Belts from Japan came to Jefferson City, Missouri. Master Takazawa and Shinohara Sensei tested several students and also tested Dennis Rand for Nidan, 2nd Dan, and B.J. Huffman for 1st kyu Brown Belt. In 1977 B.J. 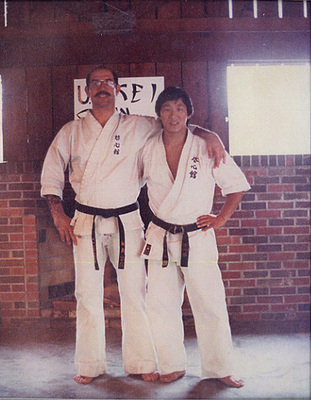 Huffman was tested for shodan,1st Dan and was appointed Head Instructor of Missouri in 1978 by Shinohara Sensei. When Dennis Rand left Missouri. Sensei B.J. 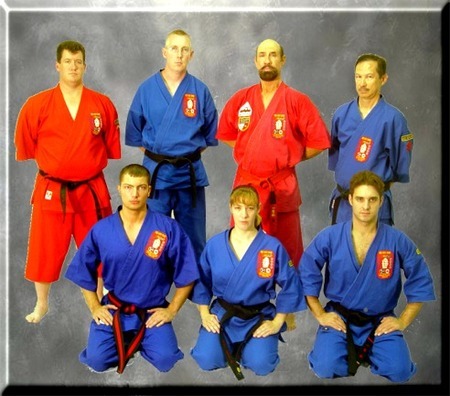 Huffman has reached the rank of 5th Dan, GoDan in 1995. In 1988, B.J. Huffman Started studying Shorin-Ryu (Kobayashi) under Masayuki Ward. 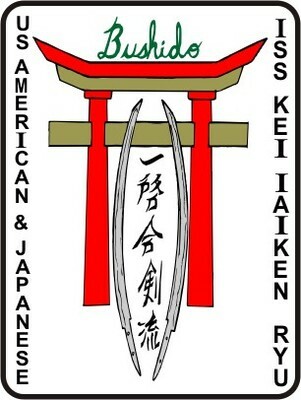 8th Dan, Hanchidan. He has reached the rank of 5th DanGoDan in (Kobayashi) Shorin-Ryu. This style is taken from both "Iai-jutsu" and Ken-Jutsu. The drawing of the sword and the use of the unsheathed sword. I have been training in this system since 1995. You are said to have mastered the art when the independent of your conscious mind. I am still a student training and trying to learn more about the sword (Katana). The motivations for sword training could be for combative, spiritual, or tournament. Legend has it that the sword smith Amakuni made the first Samurai sword in Yamato around A.D. 700, although there is no historical Proof. The Bushi (Warrior) had the right to carry two swords. The Katana-Long Sword- (24 inches or longer) and the Wakizashi- (16 inches to 20 inches long). Both swords are known to be worn on the left side, thrust through waist sash, edge upwards. The Katana left side and the Wakizashi across the stomach. (Form the Left Side). The Katana was the main weapon used in fighting while the wakizashi was used to behead a defeated enemy or commit seppuku (suicide). Miyamoto Musashi (1584-1645) died age 61, was probably the most famous Sword Man in Japanese History. He killed arima kibei (by beating him to death with a staff at age 13). He killed over sixty people in duels. Musashi did not belong to any particular school. It is believed he got most of his early train from his father. Musashi is remembered as the founder of the two-sword or "nito" method of fighting. While the idea had been used before Musashi, he perfected the Idoa. Musashi system was based on disrupting an opponent's rhythm so as to defeat him. His entire strategy is based on timing and rhythm. Mushashi did die of natural causes. His Book- "A Book of Five Rings"
Distance and timing is very important in sword training, more so then unarmed fighting. In unarmed fighting receiving a glancing blow is not always a serious. The same mistake when facing a sword would result in a crippling wound. While it is most desirable that one attack directly, without ever toughing the opponents sword, such is not always possible. Often the attack will be to quick or come at the end of a series of movements. This will make a simple counter impossible, so you have to use parries techniques. Parries are usually done with either the side of the back of the blade, also the parry is done so as to deflect the attacking sword rather then block it. A direct block could result in a broken blade. You want the Majority of the attacks force to slide harmlessly of the blade. There is so much to learn about the sword, and I am still learning. The Sword was the heart and soul of the Samurai. "One who is a samurai must before all things keep constantly in mind, by day and by night the fact that he has to die." I hope this brings some light to the art of "Drawing Sword"